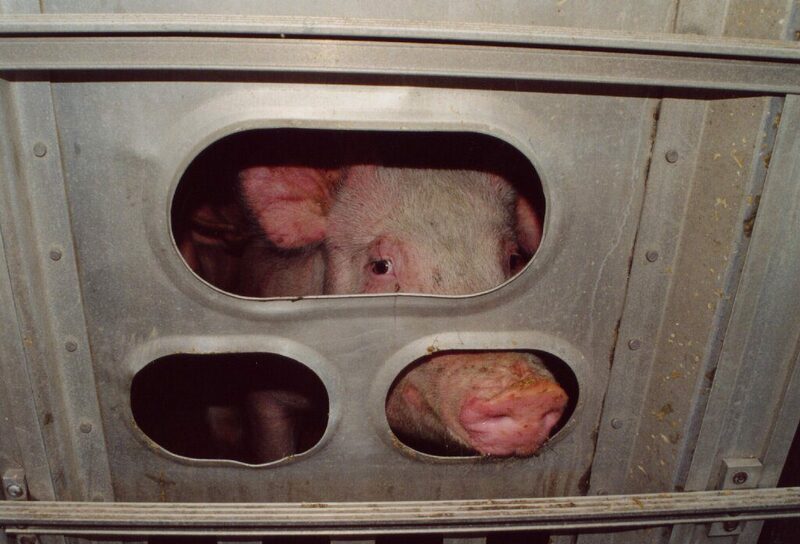 Canada’s farmed animal transport regulations are extremely archaic (dating back to 1977) and VHS, along with other animal protection organizations and concerned citizens, have long advocated for stronger regulations to better protect animal welfare. It’s been almost a year and half since the federal government held a public consultation on its proposed amendments to the transport regulations. Disappointingly, not only were the improvements being proposed very minor, but to date the final regulations still haven’t been released. Just recently, the Canadian Food Inspection Agency (CFIA) finally released its “What We Heard” report, summarizing the feedback from the public consultation. This report will be used to inform the development of the final amendments. As heat waves continue across the country, so do the trucks transporting farmed animals long distances with no protection from the weather. This issue has made headlines this summer, with footage of overcrowded and overheated pigs in transport trucks making recent news in British Columbia and Manitoba. Shockingly, in the Manitoba case the CFIA said the load was in compliance with the regulations, and that the animals were not overcrowded for the weather conditions at the time. This despite a thermometer reading of nearly 40 C and evidence of overcrowding and heat stress. As efforts to finalize the amended transport regulations are underway, please join us in keeping the pressure on the federal government to prioritize the release of significantly stronger transport regulations that are evidence-based, free from industry influence and that will prevent the senseless suffering showcased time and time again in transport investigations.